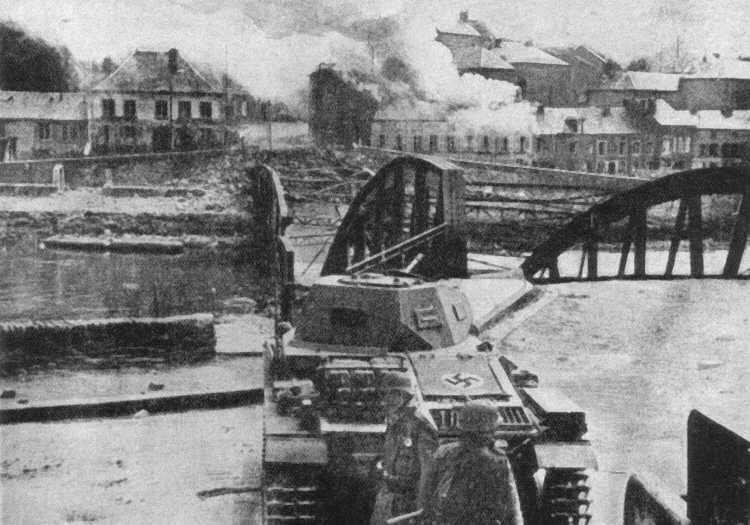 A Panzer II held up by a broken bridge at Pont St. Maxence on the Oise during the Battle of France, June 1940. This rear view makes it impossible to identify the exact version of the tank. This view does show the flat roof of the turret, without the cupola standard on later tanks.